Ribby Hall Village is a 5* holiday village in Lancashire which offers baby and toddler holidays and seasonal breaks throughout the year. 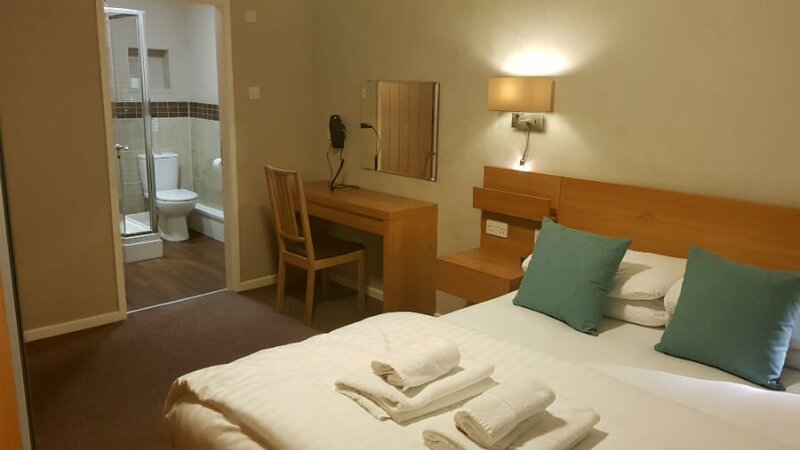 It’s a great choice if you are looking for somewhere to go on a short break with a baby or toddler, which is near to a beach and has plenty of onsite facilities and activities for small children. A wide range of luxury holiday cottages sleeping from 2 people through to large groups. Pet friendly cottages available. Free entry to the Ribby Hall swimming pool with splash park and waterslides. 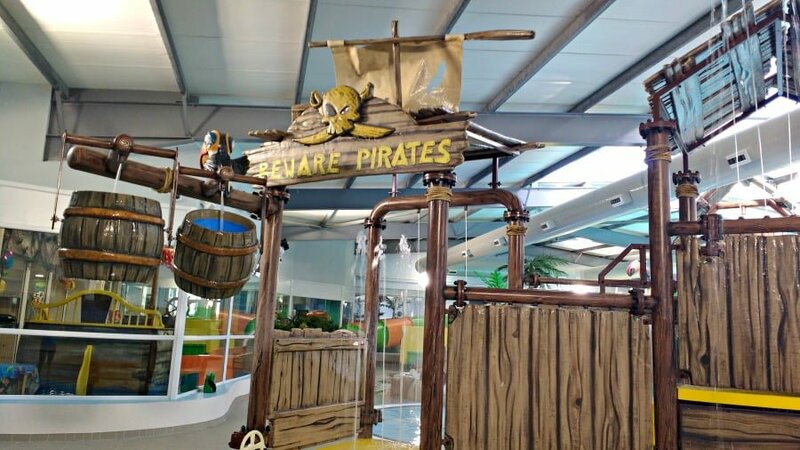 Loads of playgrounds including a pirate ship and toddler playground onsite at the Village. Free entry to the soft play. Nature Trail and Scavenger Hunt around the Village. Packed activity programme including a mix of free and payable extra activities for babies and toddlers. Family friendly restaurant onsite, and a Starbucks! The seaside resorts of St Annes and Blackpool are both within 20 mins drive of Ribby Hall. Take a look at this video I made about Ribby Hall Village. The cottages at Ribby Hall are all luxurious, at the same time as being designed with families in mind. There is everything you will need for a really comfortable stay, but at the same time there aren’t any ornaments balancing precariously on a low table within grabbing distance of an inquisitive toddler. We’ve stayed in 2 cottages at Ribby Hall now and have been really impressed with the amount of space the cottages have – especially important if you are travelling with a baby and all their toys and paraphernalia. This time we stayed in a Diamond Cottage which was a cozy detached 3 bedroom cottage overlooking a football field. There was a massive double bedroom with an ensuite shower room, which had plenty of room for a travel cot (available to borrow). The 2 other twin bedrooms had large comfy beds, blackout curtains and TVs with Freeview. The kitchen / living area had a dishwasher, washing machine, American Fridge Freezer and flat screen TV. Outside there was a parking space and BBQ. All bedding and towels were included. 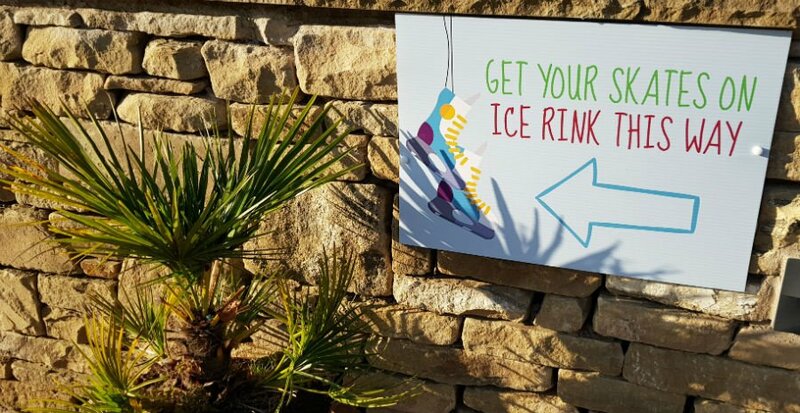 All the cottages are located around the Village in walking distance of the leisure complex, soft play, activity hub, playgrounds and restaurants. We were at Ribby Hall for their popular Winter Wonderland break, where the whole village was transformed into a magical Christmas paradise. 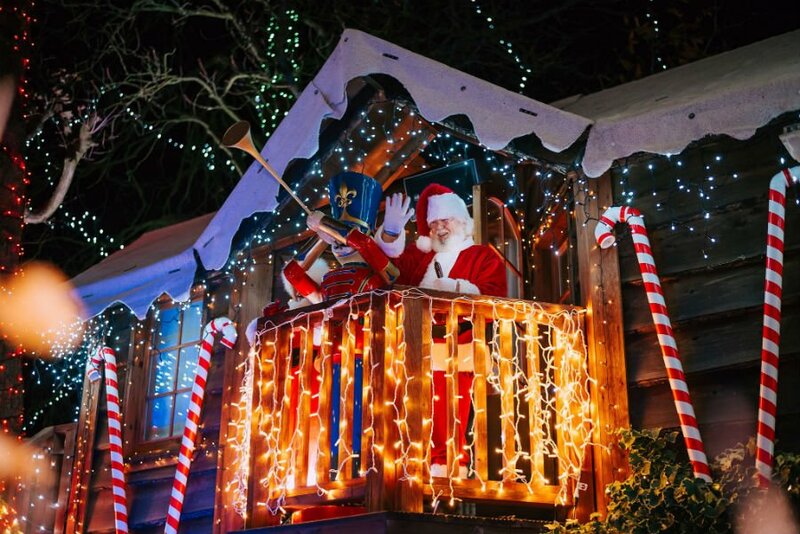 There was a Big Lights Switch On on the Friday night with music, mince pies, drinks and Santa, and throughout the weekend there were also opportunities to meet Santa in his Treehouse, see Pringles the reindeer, go ice skating and even watch the Panto. The Activity Hub was also bursting with Christmas activities including Christmas Tree Decorating, Christmas Treat Creations and Christmas Character Breakfasts. The leisure complex includes a swimming pool, splash park (with loads of water sprays, tipping buckets and little waterslides) and 3 other waterslides. It is free for all guests staying at Ribby Hall. During busy times, it is possible to book fast track swimming. There is also an adults only 25m swimming pool with steam room, hot tub and poolside lounger – something for after bedtime! 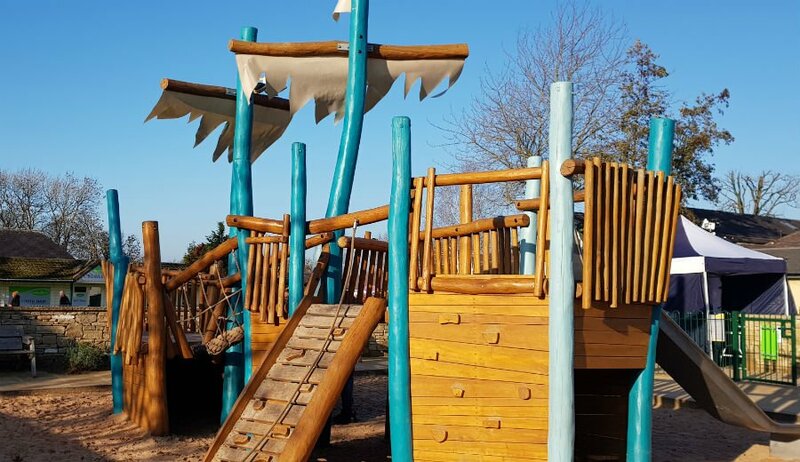 Toddlers will love the sand based pirate ship play area and special Toddler play area at Ribby Hall Village. There is also a larger playground for older children with zip wire and climbing frame. Ribby Hall is a fab place to wrap up warm, put your wellies on and explore the Woodland Trail. Guests are given a Scavenger Hunt checklist for things to find including the Bug Hotel, wood carvings, tall trees and toadstools. The Island is another activity area at Ribby Hall where you can hire pedalos and bikes. Older children can also tackle the climbing wall. The Wild Discovery Centre is described as an ‘interactive animal experience’. This is payable extra but is like a mini petting zoo with farmyard animals, birds, reptiles and of course Pringles the reindeer. The Bar and Grill is the name of the family friendly restaurant at Ribby Hall, which serves a wide range of favourites including burgers, fish and chips and noodles. The children’s menu has a very popular ‘Build Your Own Menu’ where children can choose a main course and then 2 accompaniments. This costs £5.95 and deserts cost £2.95. There is a Kids Eat Free Offer between 5pm – 6pm Monday – Saturday. Coffee lovers will love the onsite Starbucks, and there is a Tea Room which serves cakes and treats. If you want a break from the cooking, don’t miss takeaway pizza from Papa Johns! Hit the beach! Some of the UK’s top seaside towns are within easy reach of Ribby Hall including St Annes and Blackpool. Cleveleys is another seaside town further up the coast with a new prom and big beach. Head inland to explore the stunning Forest Of Bowland. Discover the birds and wildlife at Brockholes Nature Reserve – a wonderful place to observe wildlife just off the M6! Explore the Lake District – just over an hour away from Ribby Hall. Ribby Hall Village is within 1 hour of Manchester, Liverpool and 10 mins drive from the coast. 4 night baby and toddler friendly breaks start from £269 per family for a 4 night stay. They also include unlimited access to the Family Leisure Pool.